Just roll out of your front door for after work and weekend adventures. The Crosstrail Comp Disc features reliable components, like the 50mm-travel fork featuring lockout, Shimano hydraulic disc brakes, and SRAM X7 rear derailleur. 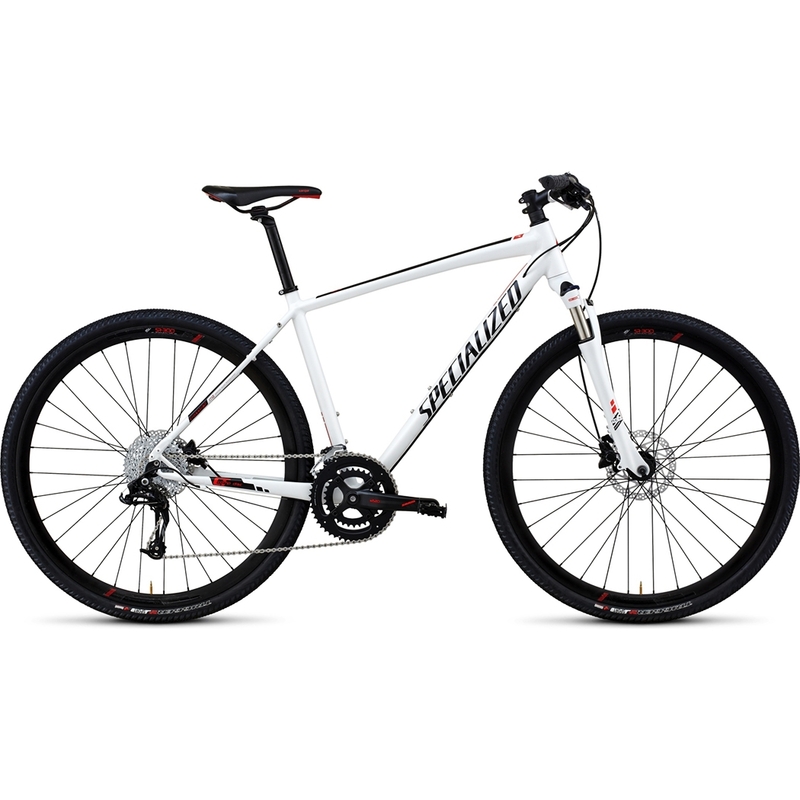 >Smooth-welded M4 Premium Aluminum disc frame plus custom Suntour NCXi 50mm-travel fork with lockout for lightweight confidence on any surface, with fender/rack braze-ons for versatility. >SRAM 2X10 crankset with 48/32 rings for lightweight, wide-range gearing and spot-on shifting every time. >SRAM 2X10 drivetrain plus SRAM X7 10-speed rear derailleur provide crisp shifting and reliable performance. >Sporty yet comfortable Body Geometry Targa Comp fitness saddle with light, durable hollow Cr-Mo rails.